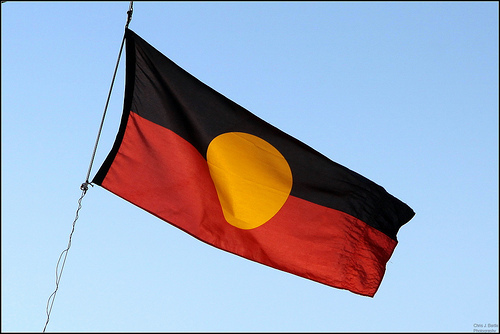 Australian Aboriginal Flag is black, red and yellow. The interpretation of the meaning of the colours is not always the same. But most often the interpretation is that the red is the soil. The black is the Aboriginal People, and the yellow is the sun.